As much as we love a nice watch, we don't find ourselves sporting them too much anymore. They now seem more like a piece of jewellery as opposed to a useful piece of kit, since we all carry smart phones and the time is right there on them. We do however, like thoughtful and simple pieces of jewellery and adornment, so every now and then we see a simple wrist watch that gives us pause, and makes us reconsider our stance on the timepiece. 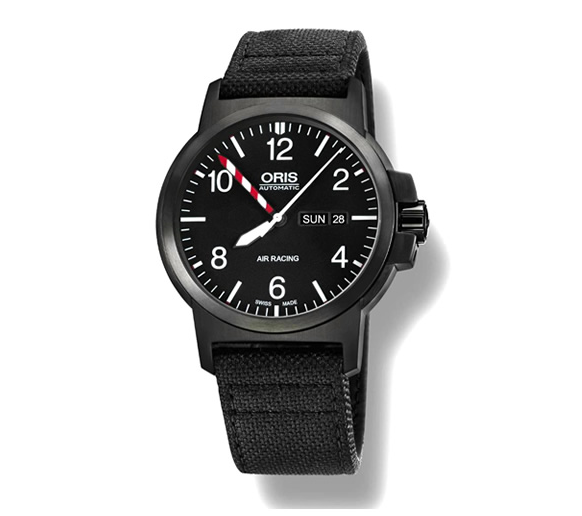 We must say we are pretty fond of the mostly black Oris pictured above, and love the red and white striped minute hand that is a nod to the speed indicators on aircraft. You can see and learn more here.